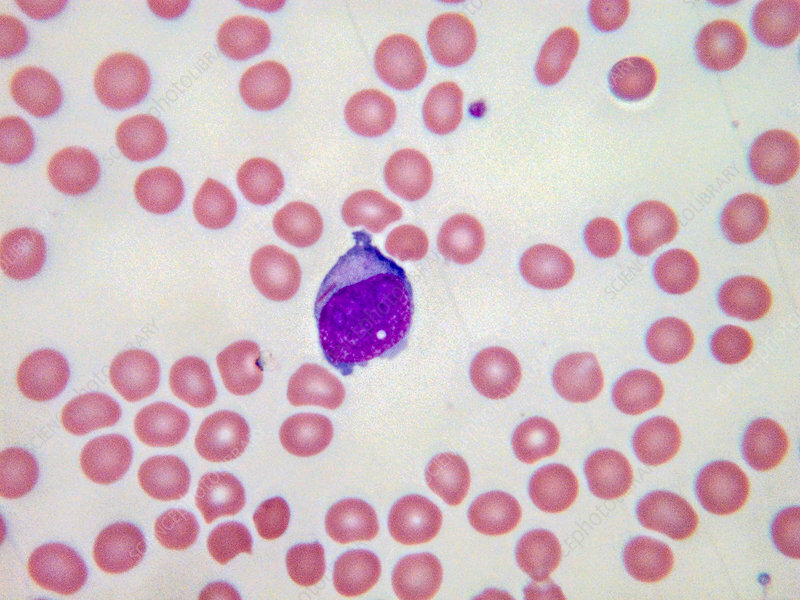 Auer rods are clumps of azurophilic granular material that form elongated needles (here, the small red material over the nucleus) seen in the cytoplasm of myeloid leukemic blast. Light micrograph, Wright-Giemsa stain. Magnification: 100x.